This course is the first component of the required FDNY accredited courses needed to obtain the FSLD F-89 C of F. To meet the full training requirements, candidates must also complete Component #2, the Non-Fire/EAP Emergencies Course (previously EAP course) and Component #3, Active Shooter/Medical Emergencies Course. The FSLD candidate must also be able to demonstrate the required prerequisite employment experience. 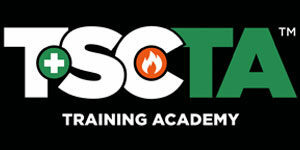 TSCTA’s FDNY Approved Courses section of our FAQ page provides additional info on the FLSD C of F process. New FLSD C of F candidates with experience in fire protection and prevention activities or the operation of a building’s service equipment. This course is also open to individuals who are not seeking a certificate of fitness from the FDNY. Commercial high-rises, hotels, and hospitals require certified personnel as mandated by New York City Local Laws, Rules of the City of New York Fire Department and the NYC Fire Code. This FDNY accredited course is designed to fulfill one of the three training requirements for the FLSD C of F under 3 RCNY 113 of 2016 of the NYC Fire Code. The 20-hour course examines every aspect of fire protection management in high-rise structures through intense review of aspects of Local Law #5 of 1973 and the 2014 FDNY Code. Special emphasis is placed on the Fire Code Chapter 4-Emergency Planning and Preparedness and Chapter 9- Fire Protection Systems. Other course topics include firematics, FLSD duties and responsibilities, building construction and primary fire protection systems, and recordkeeping requirements. 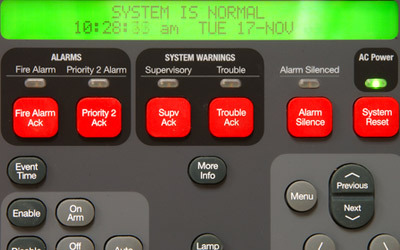 Demonstrate practical skills necessary to properly operate and manage the Fire Command Center during an emergency. Identify their responsibilities as a member of the fire safety team. Describe the correct response to a fire emergency as per FDNY guidelines. Prescribe control measures for New York City fire safety issues. Inspect fire suppression systems and their essential components in accordance to federal and FDNY safety regulations. Discuss common fire safety hazards based on statistical and historical data provided by the Fire Department. Recognize Fire Department protocol for elevator operation during a fire emergency. Pass the school end-of-course examination on the basis of having successfully completed the Fire and Life fire component of the course. 100% attendance for the course and active participation in learning activities including hands-on exercises, and review quizzes. Additionally, per the FDNY, students must receive a minimum passing score of 70% on the 67-question multiple-choice final exam to receive the course completion certificate and verification letter. Students are allotted 2-hours to complete the exam, which is not open book. Students who do not pass the final exam will be given a second opportunity to take the exam. It is the students’ responsibility to contact TSCTA to schedule their retake exam within one week of the original class date. Read TSCTA’s full attendance and make-up time policies here. Students who do not successfully pass the exam a second time will have the option of registering for another Fire Emergencies/Fire Safety Director training course at a reduced price of 50% of the original course fee. Students must contact TSCTA to schedule and pay for the retake class within 6 months following the original class date. After 6 months, students will be required to pay the full course fee. PLEASE NOTE: Per the FDNY, candidates who do not successfully pass the FDNY Fire Emergencies Computer Based Test (CBT) after two attempts must retake the full 20-Hour Fire Emergencies course and pass the required end of course exam. Only after successfully doing so will they be eligible to reapply for the FDNY Fire emergencies CBT.